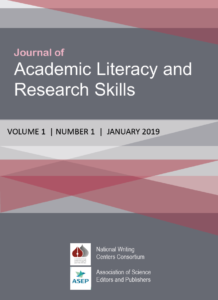 The Journal of Academic Literacy and Research Skills (JALRS) is an international peer-reviewed journal that publishes papers covering the broad spectrum of issues concerning the development of academic literacy and research skills at university level and beyond. In an effort to support policies aimed at internationalization of Russian science and education, we see our mission in disseminating knowledge in and about teaching writing methodology, developing critical and analytical skills, and fostering research and writing for publication. 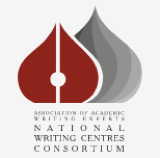 Published by the National Writing Centers Consortium (NWCC) in collaboration with the Association of Science Editors and Publishers (ASEP), the JALRS welcomes papers that express views on issues of establishing writing centers and raising the quality of scholarly publications. We are striving to create links between Russian and international academics and researchers by publishing high quality theoretical, empirical and review papers aimed at informing policymakers, educators, and academics across disciplines about the centrality of writing and research competences in higher education and scientific communication. The Journal of Academic Literacy and Research Skills provides a forum for Russian and international practitioners and researchers in academic literacy, teachers of academic and research writing, writing center tutors and managers. We are also happy to consider papers from editors, educators and scientists interested in promoting high quality research, academic literacy as a field of study, and establishing academic writing as a discipline. Being the first journal in Russia focused on issues of academic literacy, we welcome all papers fostering the internationalization of Russian higher education and integrating research implemented in the country into the global publishing network. The Journal of Academic Literacy and Research Skills is an international peer-reviewed journal that focuses on issues of development of academic literacy and research skills at university level and beyond, disseminating knowledge in and about teaching writing methodology, developing critical and analytical skills, and fostering research and writing for publication. We primarily consider papers that describe methodological and institutional models of teaching academic literacy, academic writing, study skills and research skills at all levels of graduate and postgraduate education, welcoming papers from researchers and practitioners working in various educational and disciplinary contexts. The Journal publishes papers that express rigorous views on academic literacy and research writing in both cross-disciplinary and in-disciplinary perspectives, and discuss the relationships between digital and academic literacy in developing research skills. As our goal is integration rather than globalization of research, we are especially interested in publishing papers which develop writing methodology for the national language, and papers which discuss issues of monolinguality of international publications and the role of the native language in developing academic literacy. The JARLS is published semiannually. All papers are published in English with abstracts in English and Russian. Papers may range in length depending on the content and scope of research from 10 pages for descriptions of practices or review papers to 20 pages for in-depth or detailed research. All papers should be supported by the appropriate philosophical or theoretical basis. Bolitho, Rod: NILE Advisory Board, UK. We are happy to announce the launch of the Journal of Academic Literacy and Research Skills – a new venue for scholarship on academic and research writing in Russia. We are collecting articles for the first issue and welcome academics and researchers to contribute to the journal by submitting papers considering internationalization of higher education, establishing writing centers in Russia and beyond, developing academic literacy and research skills in multilingual settings and methodological issues of teaching academic writing. We can consider a re-print of a previously published paper provided its quality meets the purpose and the publishers’ permission is obtained. Brief conference reports and book reviews (2,000 words) can also be considered. Publishing the very first issue is challenging and exciting. We hope that your contributions will help us get started, and together, we will impact the future of writing for study and research in Russia and beyond. If you would like to submit, please email your article as an attached Word.doc(x) file to korotkina@universitas.ru before 1 December 2018. Please ensure that the Subject line of your email says ‘JALRS Article Submission’. We are looking forward to considering your papers for publication. To submit to the Journal of Academic Literacy and Research Skills, authors are recommended to review the About the Journal page for the journal’s scope, aims and policies prior to following the Author Guidelines. Journal article submissions may range from 10 pages for descriptions of practices or review papers to 20 pages for in-depth or detailed research (2,000 to 5,000 words, excluding references). Each article must be preceded by an abstract of 150-200 words. Submissions should be compiled as follows: title, author name, affiliation, abstract, main text, acknowledgements (where relevant), references. Main text: margins 2 cm on all sides, indent 1.25 cm, font Times New Roman 14 pt, interline spacing single. Title: bold, aligned left, followed by one empty line. Author(s) name(s) and affiliations: italics, aligned left, followed by one empty line. Reference text: 12 pt, aligned left. In-text citations should be in the form (Surname year: page), e.g. (Smith 2009: 16). Please use et al. if there are more than three authors, and list multiple publications in alphabetical order with semi-columns. All items appearing in the list of references must appear in the text, and vice versa. Hewings, M. (Ed.). (2001). Academic Writing in Context. University of Birmingham University Press. Goodfellow, R. (2004). Online literacies and learning: operational, cultural and critical dimensions. Language and Education, 18(5), 379–399. MacOdrum Library. (2018). APA Citation Style. Retrieved 12.06.2018 from https://library.carleton.ca/help/apa-citation-style. Italics should be used for names of books, journals, newspapers etc. and titles of films, paintings, ships etc. Numbers one to ten should be spelt out, as well as any number beginning a sentence. Please leave a space between the numeral and the unit (e.g. 7 km). Quotation marks should be single; quotations longer than 30 words should be indented. Peer review is at the heart of high-quality scholarly publishing. It is to ensure scientific quality of the published papers and is implemented by all reputable scholarly journals. All manuscripts submitted to the Journal of Academic Literacy and Research Skills are peer reviewed following the procedure outlined below. All manuscripts are first evaluated by the editors. At this stage, a submitted manuscript can be rejected if it is not fully original, contains major scientific flaws, is poor in grammar, or does not meet the aims and scope of the journal. Provided the manuscript meets the minimum criteria, it is passed on for further review. The journal applies the practice of double blind review, which is provided by highly qualified experts who remain anonymous throughout the process. Reviewers are selected according to the area of research presented in the paper. Reviewers evaluate the manuscript considering its originality, significance, methodological relevance, the quality of results, clarity and efficacy of the argument, and proper referencing. They also assess the language and style, giving recommendations on improving the text or consulting a native speaker. If the two reviewers’ reports are contradictory in their judgments, the manuscript is passed on to another expert. Authors may expect more than one revision of their text. The peer review process may take 6-8 weeks depending on complexity of research and the amount of revision. The final decision on whether the manuscript is accepted or rejected is made by the editors, who are advised by reviewers and take on the responsibility for publication. The decision is sent to the author along with reviewers’ recommendations. 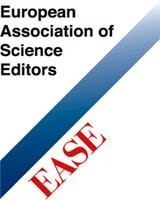 All submissions should be original, not previously published or under consideration by another journal. Authors who publish in the Journal of Academic Literacy and Research Skills grant the journal right of the first publication and retain the copyright of their work, enabling the unrestricted use, distribution, and reproduction of their paper in any medium, provided that the original publication in the Journal of Academic Literacy and Research Skills is properly cited. Authors’ names and email addresses will be used exclusively for the stated purposes of the journal and will not be made available to any other party for any other purpose.